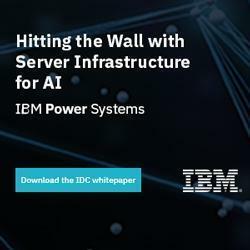 The IBM 8231 is the Power 730 Express server that is a high-performance, energy-efficient, reliable, and secure infrastructure and application server in a dense form factor. As a high-performance infrastructure or application server, the Power 730 Express server contains innovative workload-optimizing technologies that are designed to maximize performance based on client computing needs and Intelligent Energy features that help maximize performance and optimize energy efficiency. This results in one of the most cost-efficient solutions for UNIX, IBM i, and Linux deployments. The IBM 8231 Power 730 Express Server Model E2D is a 2U rack-mount server with two processor sockets offering 8-core 4.3 GHz, 12-core 4.2 GHz, and 16-core 3.6 GHz and 4.2 GHz configurations. The new Power 730 Express model 8231-E2D also provides increased performance with the POWER7+ processors and expanded I/O capabilities using the high-performance Gen2 PCIe interfaces, and adds the capability of additional I/O through the 12x PCIe I/O expansion drawers. The Power 730 Express server supports a maximum of 16 DDR3 DIMM slots, with four DIMM slots included in the base configuration and 12 DIMM slots available with three optional memory riser cards, allowing for a maximum system memory of 512 GB. Memory features (two memory DIMMs per feature) supported are 8 GB, 16 GB, 32 GB, and 64 GB and run at speeds of 1066 MHz. The POWER7+ hardware accelerator for Active Memory Expansion provides 25% higher levels of memory expansion than available with POWER7 chips. While POWER7 Systems offer up to 100% memory expansion, which can effectively double the server's maximum memory, POWER7+ servers offer up to 125% memory expansion for AIX partitions. Thus a system memory maximum of 512 GB could effectively become more than 1024 GB effective memory capacity. This can enhance virtualization and server consolidation by allowing a partition to do significantly more work with the same physical amount of memory or a server to run more partitions and do more work with the same physical amount of memory. Switching from Splunk to QRadar SIEM? © 2019 Midland Information Systems | IBM iSeries New & Used Systems | Upgrades for Software and Hardware.